CAREONCHAIN CAREONCHAIN is a Blockchain-based HYBRID technology focused on Research and Development. CAREONchain is the first blockchain Operating Platform for Hybrid Car Technology & its Research & Development . CAREON blockchain platform is develop for interaction between researchers, developer and hybrid vehicle manufactures. Thus making whole world a RESEARCH AND DEVELOPMENT centre for this upcoming technology. CAREON chain platform will unite all the research work from throughout the world and provide the best of it to automotive sector manufacturers. It is decentralize network that allows storage of all research work from college projects to Scientifically proven research for development of hybrid technology in automotive sector. Careonchain will give a boost in the development in the technology of hybrid cars creating an immense opportunity to becoming a leading blockchain based network in the field of hybrid cars. Due to pollution and the price of fuel a alternative is a much needed thing to this world and hence hybrid cars sector will take a big growth by 2020. We are initially focused on the development of a hybrid car technology, which will help you for the production of low cost and high performance hybrid vehicles. 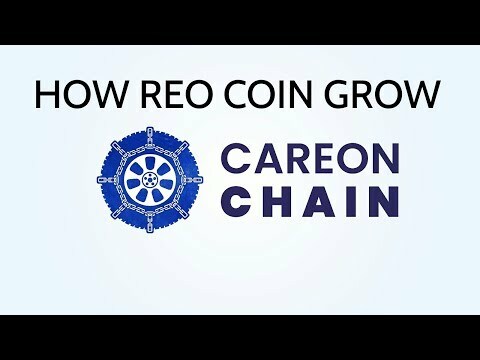 In future REO coin will be used to upload any research work in block chain data and companies can also buy it through users by paying REO. Who might benefit from our services? 1 . Crypto holders, traders and investors. 4 . Researcher and Devlopers.